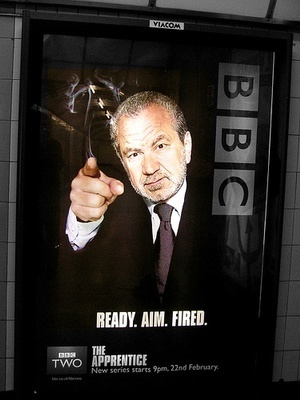 Loughton resident Tre Azam came third in the 2007 series of the Apprentice. His success is now no surprise - this week he was revealed as being partial to a bit of extra-curricular 'entrepreneurship'. In court Tre has been convicted of falsely claiming benefits due to having his bills paid for by relatives at the same time as pocketing taxpayers' money. Now then, we think that claiming housing benefit while not declaring income is a silly thing to do at the best of times. If you're caught having appeared in a TV show that regularly garnered huge viewing figures, then people might just notice what you were up to. So expect to see a short expose (or even just a ropey-picture-with-caption) on page 43 of the next edition of OK! Magazine. Although he plans to appeal, we're not sure you have that right on cases like this. And his churlish threat to stop doing his "incredible amount of voluntary work" in schools smacks of pomposity and an ill-judged tactic. Perhaps he should phone Sir Alan.